The Hudson Agency is dedicated to impacting our community by doing what we can to help others live well and thrive. The agency will donate $10 in YOUR name to help support the community cause of your choice. Take some time to go over the causes listed below & if there is a cause that you’d like to donate to that’s not listed below, please don’t hesitate to add it by clicking the button below. Mission Possible helps 700 to 1,000 clients every year. We are a 501(c)3 non-profit Christian-based ministry that provides counseling services to people of all ages, faiths and ethnic backgrounds. 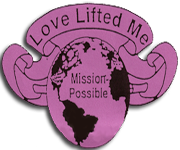 Mission Possible also provides clothes to the needy, food for the hungry and much more. In addition to providing vital care for the oppressed, our ministry also provides education through lectures and wellness workshops with a focus on work place issues.